The world champion takes a shine to Match Race Germany. Many years Ian Williams had tried to win the German classic but simply couldn’t. But now, the penny is dropped. 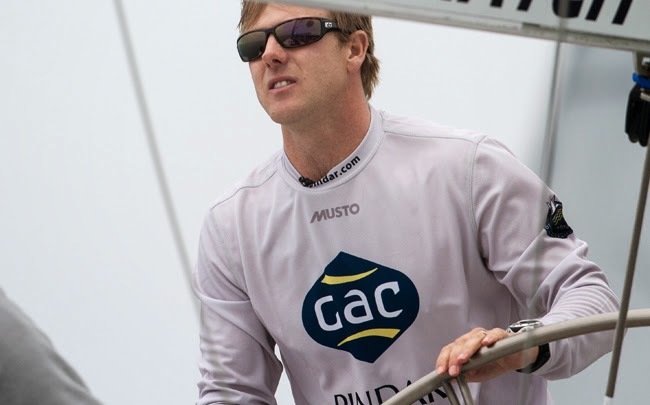 The Briton and his team GAC Pindar return to Lake Constance over Pentecost from June 5 to 9 as the defending champions. Williams wants to set a new record this season, by becoming World Champion in this spectacular duel-discipline of sailing, the Alpari World Match Racing Tour 2014, for a fifth record time. Said Williams, “Of course we will be aiming to repeat our victory of last year but Tour Card holder list this year is very strong. And I also expect the wild card entries and qualifiers to be a threat.” The former attorney who has taken a sabbatical in which he has proven himself as a world-class helmsman and turned professional after that break from the job, wants to become the all-time best matchracerby winning his fifth world title. Prensetly Williams shares the lead with America's Cup winner and match racing legend Peter Gilmour. Ironically, Gilmour's son David could prevent Williams from pushing his father off the throne, as the young Australian heads to Langenargen for the very first time and as Tour Card debutant wants to show what the next generation of the Gilmour´s is capable of. Matchracing stands for pure excitement, because the regatta is carried out in duels just like in the America 's Cup. The teams face each other in duels boat against boat, team against team. This sailing discipline can be described as a mix of chess and boxing on the water. There is only one winner. As they say in the America’s Cup: There is no second! Design or equipment advantages do not exist as the duels are sailed on OneDesign boats. Ian Williams, who celebrates his 37th birthday on 26th April is happily looking forward to his return to Langenargen: "We really enjoy coming to Lake Constance. The atmosphere at the event is always very festive and it is such a beautiful place that we always look forward to returning." The 2014 Match Race Germany 2014 will be the 17th edition since the inaugural event’s debut back in 1997. Only once the German classic had to be cancelled due to a flood back in 1999. The only German Grand Prix has been a tour stop of the Alpari World Match Racing Tour since 2000. Like in 2013 Match Race Germany will gain be the opening event for the 2014/15 Tour season. Eight seeded tour card holders, two qualifiers and two wild card skippers plus teams will be invited by the organizing committee to form the line-up of the 12 participating teams from at least nine nations, who will entertain and impress tens of thousands spectators over Whitsun in front of the naturally beautiful sailing arena of Langenargen with their close and tense sailing. The final list of participants will be published by the organizers in May. The professional crews compete in picturesque Langenargen in South Germany for important Tour points as well as world ranking points of ISAF, and for app. 45.000 US$. After the German Grand Prix, the Alpari World Match Racing Tour heads to Sweden's beautiful island of Marstrand and ends after three more regattas in Sopot(Poland), Chicago (USA) and Hamilton (Bermuda) in Malaysia with the final showdown. There the fight for the world title and a lion's share of the total prize money of the tour of 1.75 million U.S. dollars come to an end in November when the new world champion will be crowned. All tour card holders have committed to compete in Germany already, except the Italian team with skipper Francesco Bruni who still has to solve date clashes with his America´s Cup team Luna Rossa. Will be announced soon by the organizing committee. 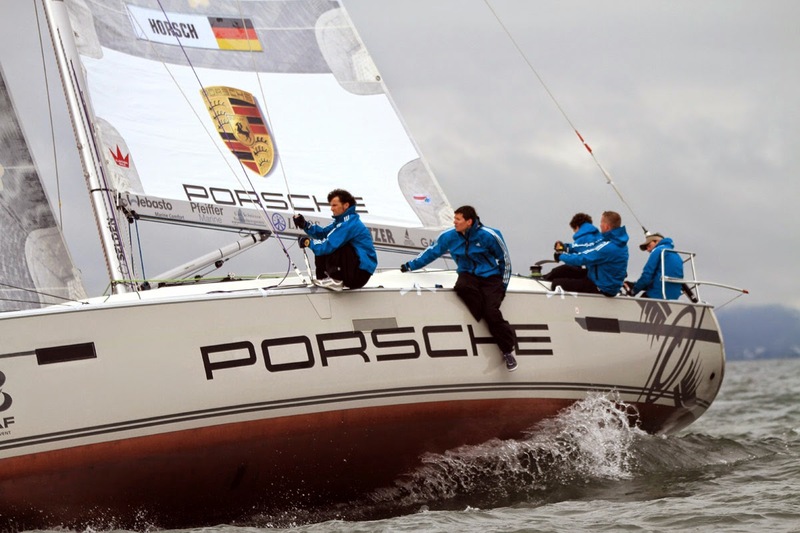 Long time partners Porsche, MHP, Adidas, Ultramarin and Nauti Sattler remain on board as major partners. Global player ZF Marine has joined as a new partner. The highly successful cottage concept in the lovely Gondola Harbour of Langenargen is being expanded. So the fans can celebrate their After Sail Parties ashore with a very special touch and together with the best.